If you feel like getting dressed up to celebrate Ladies Day but aren’t planning on visiting Aintree this year, why not come to the Bastion Bar and Restaurant instead. Hurry and book as there are still some last-minute seats available in our superb city centre restaurant. The Bastion Bar and Restaurant is the ideal place to celebrate Ladies Day in Liverpool and here’s why. Start the day off in style and enjoy a delightful champagne buffet breakfast before the races begin. Check out the race cards and pick your runners for the day whilst enjoying a leisurely early morning meal accompanied by glasses of top quality fizz. Just £16.95 per person so you and the girls can get into the race day spirit and get the best seats in the house. You may not have made it to the races but at the Bastion Bar and Restaurant, you’ll have a great view of all the action. 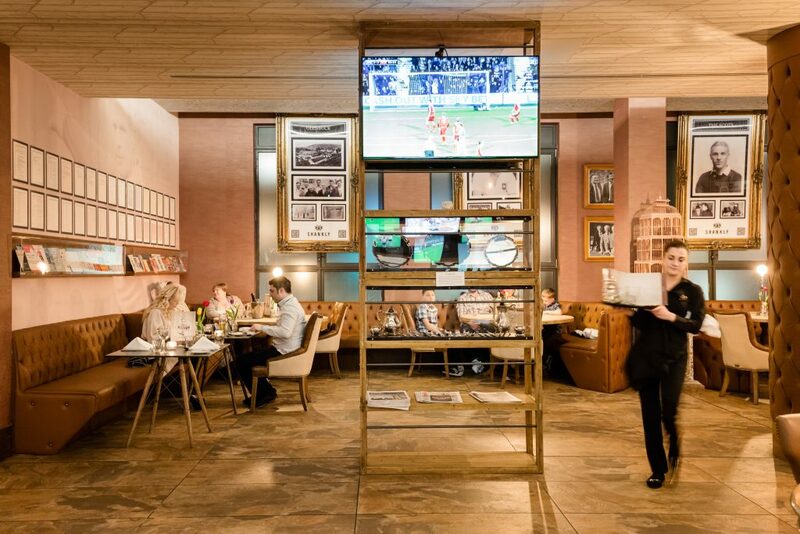 There are 10 huge TV’s spaced across the bar and restaurant, all screening up to the minute live coverage of the special race day event at Aintree. No matter where you are, at the bar, in your seats or mingling with other race day watchers, you won’t miss out on any of the excitement this Ladies Day in Liverpool at the Bastion Bar and Restaurant. 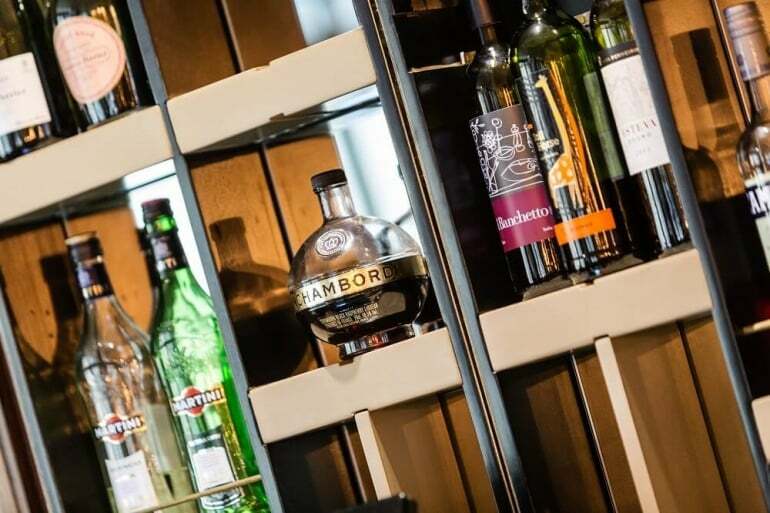 If there’s one thing that a day at Aintree doesn’t have it’s our well-stocked bar, what’s more, easy access guarantee’s shorter cues than those at the races? Choose from a huge selection of premium spirits, specially brewed ales and fine wines. Or perhaps if you fancy a cocktail or two from a list of classic concoctions from the Bastion Bar’s extensive drinks menu. From the comfort of the Bastion Bar and Restaurant, you and the girls can enjoy quaffing your wine from actual glasses. What’s more, you’ll even have a table to rest your drink upon whilst your cheer on your runner. A well-stocked bar and a place to rest your drink. What more could you ask for whilst celebrating on Ladies in Liverpool at the Bastion Bar and Restaurant? When you start to get peckish, forget burgers served on paper plates. At the Bastion Bar and Restaurant, you can choose from a gourmet selection of delicious dishes brought to your table. Choose to share some nibbles with the girls by ordering our Asian inspired sharing platter, or a Great British picnic of cold meats, Pork pies and pate. 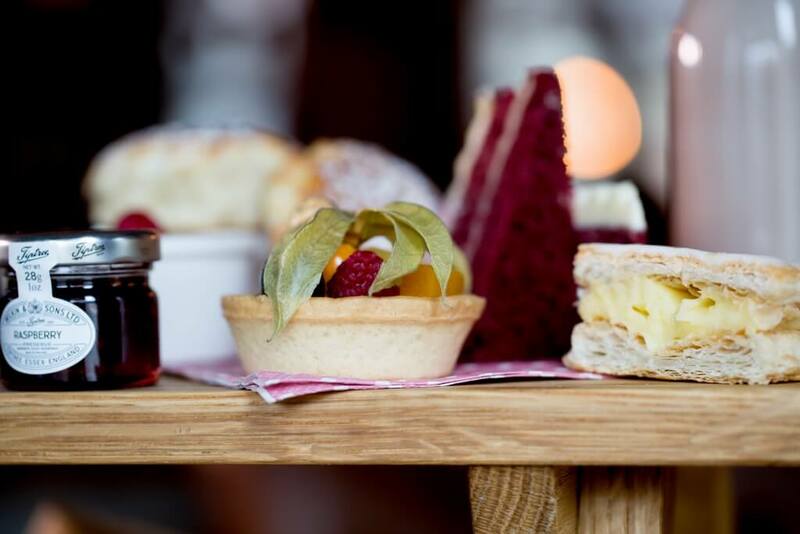 You can even continue with the class and style that started your day and enjoy an afternoon tea of delicate finger sandwiches, pastries and cakes. Spoil yourselves by drinking and dining in style at the Bastion Bar and restaurant, it is Ladies day in Liverpool after all. £19.95 for afternoon tea, £29.95 with bubbles. When the final race is won and you’ve collected all your winnings the Bastion Bar and Restaurant is the perfect place to begin a great night out in Liverpool. The perfect city centre location has direct access to Liverpool’s most amazing bars and clubs. Just a short walk away and you and the girls will be in the midst of all those who went to the races and are now out to party in Liverpool. Or if you’ve enjoyed your time at the Bastion Bar and Restaurant simply cap the night off here with one last cocktail and make your way home. The city’s main train station, Lime street is less than a 5-minute walk from the hotel as are all Wirral bound busses. So call to book on 0151 601 8801 or emal info@signatureliving.co.uk and make the most of Ladies day in Liverpool at the Bastion Bar and Restaurant. Hurry and book one of the last few spaces and enjoy the best race day you can without even entering Aintree.